Win One For the Messiah! Excuse me if I remain unmoved by the misguided religious fervor. Just one punch of the ballot is all it took. Now suddenly almost every one, here and abroad, is supposed to appreciate the newfound morality of the American people, change their own prior wicked ways, and do what they must for newly elected Barack Obama. Some columnists are now putting Europe, Russia, China — and the whole world — on moral notice: we Americans did the right thing in electing the first African-American president and a charismatic, hip, commander-in-chief. They must now, too — or else! #ad#Our divine edict from on high is simple: O wide world of little faith: Don’t blow it! So Europeans buck up for Barack, and get back in Afghanistan! Illiberal Russia, hands off those democracies on your borders and don’t make Barack do something we will all regret later! China, keep Barack’s air clean and don’t dare burn any more dirty coal! The world may be temporarily awestruck with the wise and all-powerful Obama, but it’s not quite ready to coalesce into a kinder, gentler global family — one people, under one Messiah, indivisible, with peace and justice for all. In fact, Vladimir Putin doesn’t care a whit that Barack Obama is a path-breaking African-American, much less the first person of color to be an American president. The Chinese can’t quite appreciate in translation Obama’s mellifluous cadences. France’s cool Sarkozy isn’t swayed much by the Obama sunglasses, snazzy polo shirt, or nifty outside jump shot. All these states have interests — not deities. For the most part, either their enmity with or fondness for the United States antedated George Bush. The world’s mental map wasn’t erased away when Bush took power. Being the planet’s most powerful democracy, and a free and confident world peacekeeper, either excites admiration or earns envy — and even the most crude or the most elegant American president can’t change much that simple fact of global human nature. To the small degree Obama’s superior charm and style will improve things, the Russians may toast, backslap, and bear hug Obama — before seeking to body slam him against the wall on Polish anti-missile sites. The smiling Europeans will scurry around mumbling “Yes, but of course!” — as they shirk even more. An unhinged President Ahmadinejad will endlessly write rambling letters to Barack Hussein Obama as the last centrifuges come on line. The jihadists will sigh rather than swear as they continue to try to blow us all up. Next we are told by many in the media that African-American activists of the race industry will inevitably bow before the transcendent, postracial new President Obama — and recede into the background as they shut down the once-productive victimization assembly lines. After all, did not Americans just prove, through their magnanimous vote — again, it took just one punch of the ballot — that we are no longer racists and should be collectively, if not at least symbolically, relieved at last of an age-old charge of intolerance? An Al Sharpton, Jesse Jackson, or Charles Rangle is not about to close the plant, and issue lay-offs just because Americans elected an African-American president. Why should they? Would a Rev. Sharpton really wish to confront his unresolved Tawana Brawley past? Would a Rev. Jackson welcome the public opprobrium accorded most pious white evangelicals, in leisure suits and pompadour hairstyles, who foster out of wedlock children? Or would Charles Rangle wish to pay all his taxes on time, without excuses, as do most other Americans who are not the Chairman of the House Ways and Means Committee? Victimization for generations has proven lucrative, precisely by allowing self-appointed leaders to advance their careers through doctrinaire “they did it” complaints. The script is now old indeed: Blame the pathologies of the underclass that hamper economic progress — inordinate drug usage, illegitimacy, crime, or dismal graduation rates — on the racism of those with “power.” “The Man” can find penitence only through perpetual apologies and the proper channeling of plentiful lucre. All that, too, antedated Obama and will transcend him — until either African-Americans en masse reject their leaders’ racial scapegoating; or bored whites, Asians, and Hispanics simply cease listening to the shouting of “Racism! Racist!” and turn the channel. Unfortunately, Barack Obama did not suggest to the nation that the forces behind John McCain were soon going to wage a racist campaign against him because he had any shred of evidence that they were. And he did not listen at the knee to Rev. Wright for 20 years because he found the venomous preacher to be a racial healer. Trinity Church was not renown for staunch opposition to anti-Semitism, its advocacy for Martin Luther King—style American integration, a self-help promotion of black middle-classness, or its stern criticism of ethnic stereotyping. After all, when Rev. Wright G-D-ed America, talked about those long Italian noses, and laughed about our 9/11 chickens finally coming home to roost, he was not met with jeers, but with wild, standing ovations. President-Elect Obama once praised the Right Reverend as his spiritual mentor and a brilliant scholar because such an affinity was a wise investment. Not all that long ago, such pandering to, and subsidization of, Trinity ensured to his own budding political constituency that Obama was hardly an avatar of real change, but more safe business as usual. The “usual” was rightly understood as directing state monies into the coffers of various practitioners of victimization, and excusing all social pathologies under the banner of racism and “they raised the bar on you.” Moral historians remind us that those who once sought power through disreputable means for supposedly lofty ends rarely change methodology when they finally achieve authority. #ad#Then there are the intellectuals who are giddy that they finally got their Adlai Stevenson. Obama quotes big thinkers. Big thinkers like him. He reads big books. Like Bush, he went to Harvard — but in his case a real Harvard professional school, with an admission slot earned not by undue insider influence (unlike the case of the hated Bush), but on merit alone, and on the basis of an intellectual’s sterling undergraduate record at Columbia. (So please, now, intellectuals of the world, unite — and ask that his undergraduate transcript be freed, so in comparison we can snicker one last time at the hated Bush’s inferior Yale effort!). Snide intellectuals are now told to cool it, and also win one for the Messiah as well. The usually hillbilly Palin-loving Americans — again with just one punch of the ballot — proved their intellectual seriousness and gave thinking men and women another rare Camelot gift comparable to the Pulitzer Prize—winning JFK. Pointy-heads likewise better not blow it, with snarky rebuke and nasal whining, but thank their lucky stars that one of their own finally made it. No more nihilism from Nicholson Baker and his postmodern novel about killing a president. No more chic prizes at Toronto for Gabriel Range’s “breathtakingly original” documentary about shooting a president. No more of Jon Stewart’s neat little side-riffs about a moronic chief executive — perhaps (wink, wink, nod, nod) who thinks that we took our eye off the ball in Afghanistan by diverting all those much-needed Arab-speaking translators from Kabul to Baghdad. Excuse me a third time. Do intellectuals — real and imagined — believe, like Barack Obama, that those who were born in 1922 lived through the two world wars? Or that sometimes we have 57, sometimes 47 states? Or that brave Americans liberated Auschwitz? Or that old Kentucky borders on illiberal Arkansas, but not on progressive Illinois? Were Barack Obama a mom of five from Alaska with a Fargo accent, long ago we would have learned the candidate was a weird sort of Chicago law professor who never wrote a scholarly essay, a strange sort of Harvard Law Review editor who never published a legal article, and not all that deep a thinker who thought inflating air tires negated the need to look for more oil. And do intellectuals anyway necessarily make good Presidents? Maybe a John Adams or Teddy Roosevelt — maybe not a utopian megalomaniac like Woodrow Wilson. History is not encouraging when we ponder voracious book readers like Richard Nixon. Brilliant Antiphon tried to overthrow Athenian democracy. The friends of Socrates and Plato — mad writer Critias leading the pack — formed much of the bloodthirsty Thirty Tyrants. The poet Nero finally did away with his insider advisors, including the once sycophantic moralist Seneca and novelist Petronius. Reading a snippet of Thucydides in Greek about the helots at Pylos did not make Thomas Jefferson go out on the veranda and free all his slaves in the fields. Sorry, but quoting Niebuhr has zero relevance in suggesting Obama will out-think our enemies or — elbow on knee, chin on palm — figure out the enigmas of the economy, or offer moral guidance. Unless Obama really is the Messiah, human nature won’t change much just because we elected someone who we want to think might be divine. So give Obama, the man, not the god, a chance to earn, rather than merely assert, his respect. Quit the smug moralizing that we have somehow proved to the world and ourselves that we are now finally worthy and deserving of adulation — as if wisdom and morality were always only an easy punch of the ballot away. 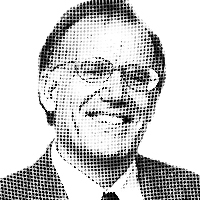 – NRO contributor Victor Davis Hanson is a senior fellow at the Hoover Institution.